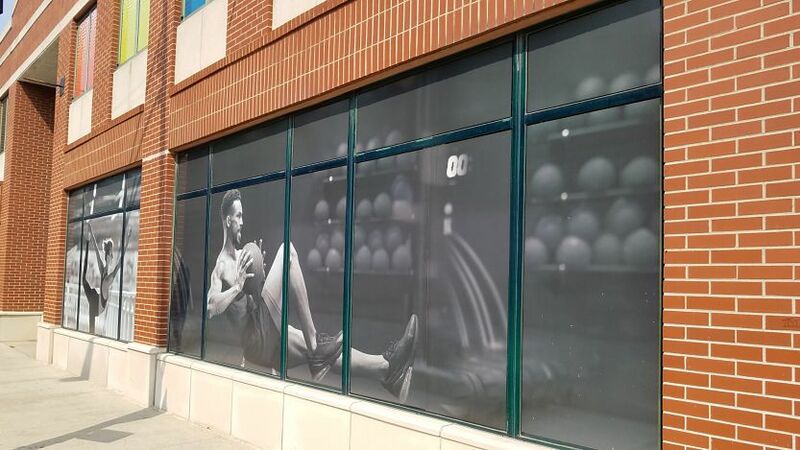 SpeedPro Imaging Lake County can help you customize your storefront window graphics. Whether you have an entire front panel full of windows or just a single window pane, we can make sure your storefront is engaging and captivating. First impressions are important for potential clients. Window graphics are often the first point-of-contact a customer will have with your business, so providing an accurate representation of your brand will make sure their experience is a positive one. Perforated film is one of our highly requested features, thanks to its bold and bright appearance. You can spread this vinyl film over multiple windows to create a larger-than-life graphic, or save it for a single window. The vinyl film holds our inks well, creating an emphatic presence on the side of your building and drawing attention from anyone who walks by. Window clings are a great temporary option. They can be easily applied like a sticker and peeled away a few days, weeks or months later, leaving no residue behind. If your business tends to rebrand often or you want to promote limited-time products, window clings are the match for you, as they’re easy to update and switch out. Clings can also be used to boldly share your business information. Build a strong first impression so that your customers will want to walk in and create a connection with you! Call or visit our studio today, and we’ll begin by setting up a consultation.